Starting from PC-3000 6.3x and PC-3000 SSD 2.4.4, it’s become possible to work with Phison-based drives. 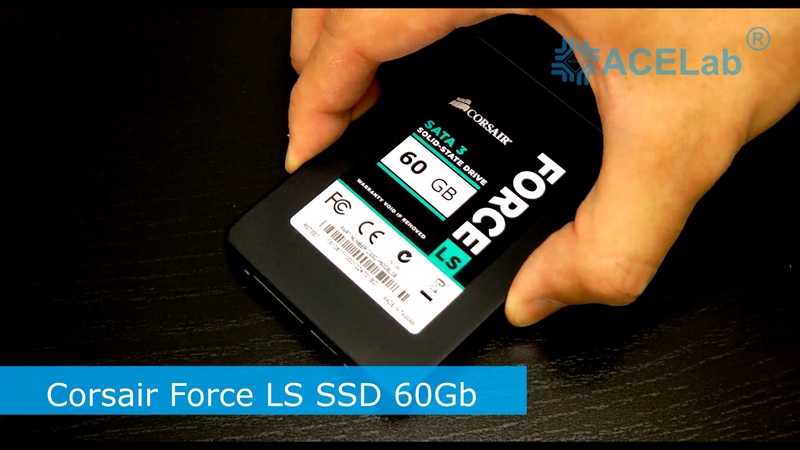 It doesn’t matter which manufacturer produced your SSD. If your model is based on PS3105, PS3108, PS3109, PS3110 or PS3111 it will be completely supported. Toshiba TC58NC1000 – is a rebranded model of Phison PS3110-S10. 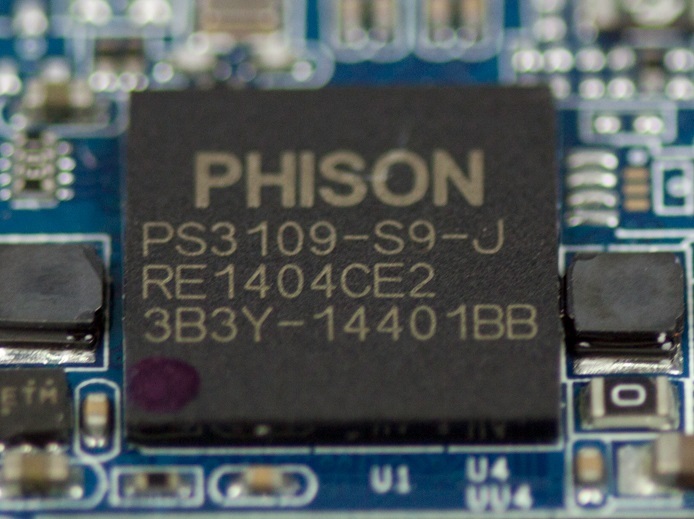 Kingston CP33238B – is a rebranded model of Phison PS3111-S11. For PS3109 – Patriot Blaze Utility (or other with PS3109 support) – NEED TO USE SATA-PATA ADAPTER! 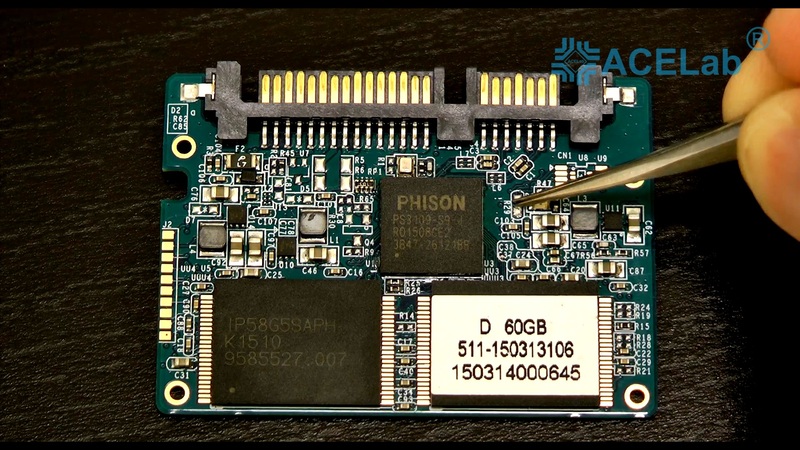 For PS3111 – SmartBuy Revival 2 (or other with PS3111 support) – NEED TO USE SATA-PATA ADAPTER! 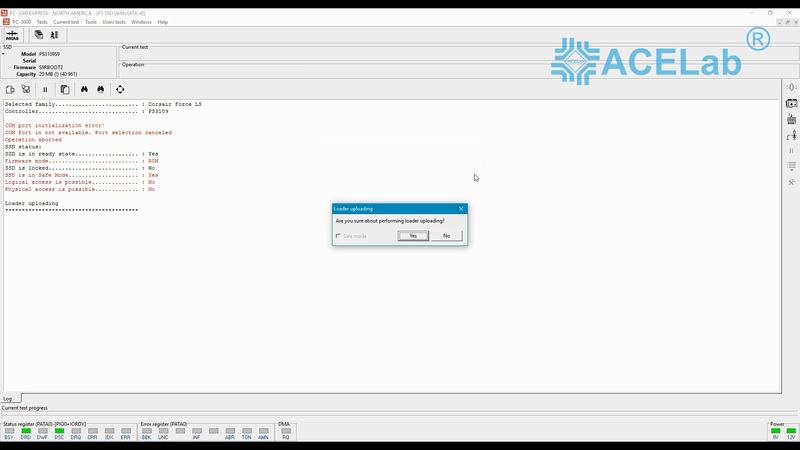 Sometimes, you will have to check several utilities (with the same controller name) for finding the matchable one if your model of SSD is not officially supported. The most popular issue on PS-based drives is SAFE-MODE problem. Due to the Firmware corruption, drives could reach READY state but goes in SAFE-MODE right after POWER-ON. The typical signs: not complete Passport ID, small capacity (20MB, 2MB or any other value). In very rare cases PS-based SSD might goes in BSY state. 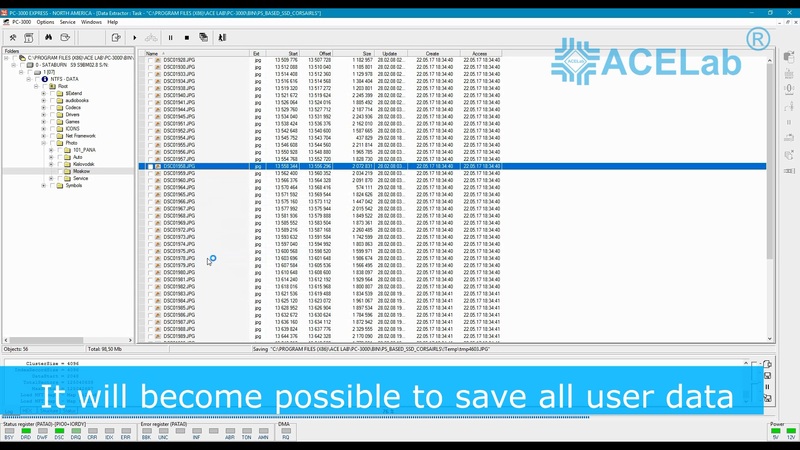 Shorting the drive in SAFE-MODE will help you to reach READY state. 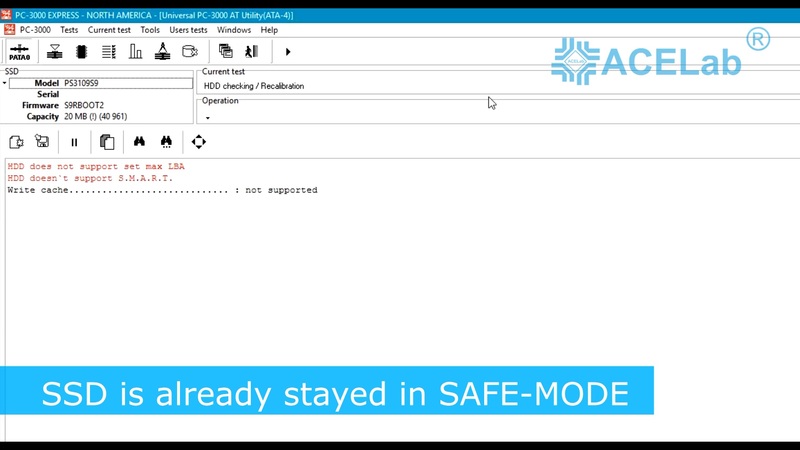 Usually for switching the drive in SAFE-MODE, you should find R29 contacts place near the controller and short in with tweezers. Terminal connection is required only for password-removing commands in PS3105, PS3108 and PS3111 Utilities. 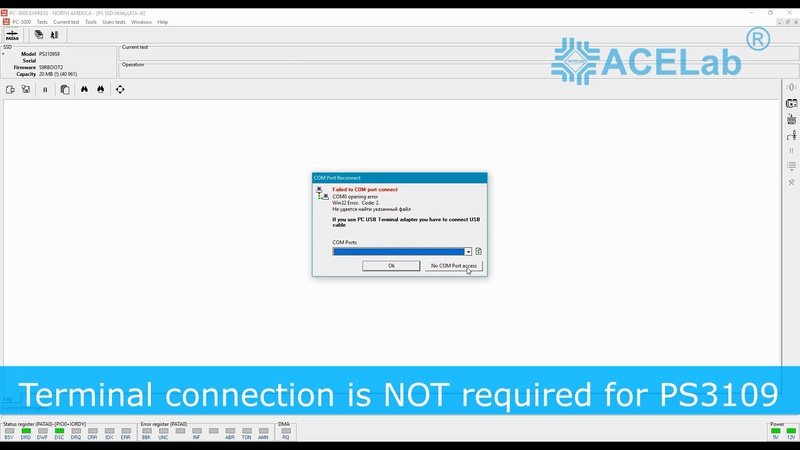 For PS3109 and PS3110 terminal connection is not required at all. 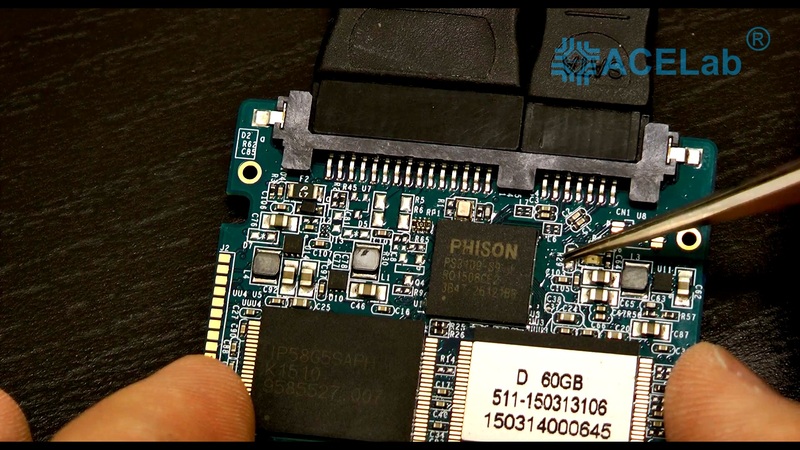 Common SATA connection is used for Phison PS3105, PS3108, PS3110 drives. You can plug them through a SATA0, SATA1, SATA2 or SATA3 channel on your PC-3000 system. 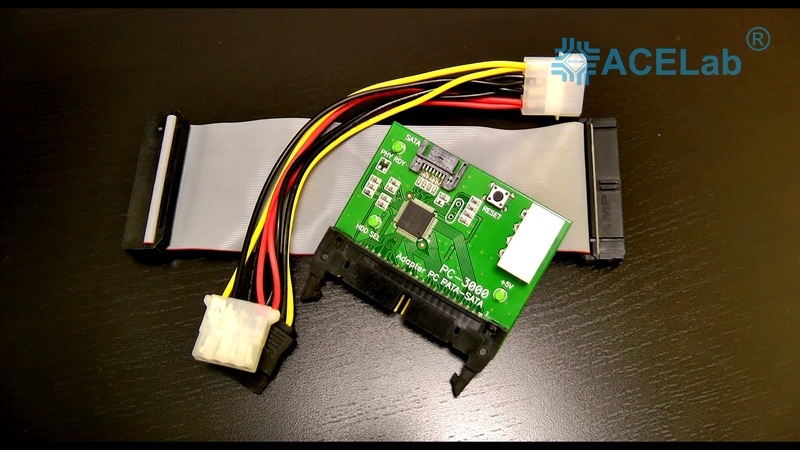 But for PS3109 and PS3111, it’s very important to use PATA0 or PATA1 connection through 40cm IDE cable, and plug it to SSD with the help of PATA-SATA adapter. In case of PS3109/PS3111-based drives connection through SATA port, technological mode will be not accessible. In our example we have Corsair LS drive with 60GB capacity based in PS3109-S9 controller. We always recommend to short drive in SAFE-MODE forcibly, even if it stays in ROM-MODE already. Usually in PS3109-based SSD, shorting points are stated near R29 pins marking. 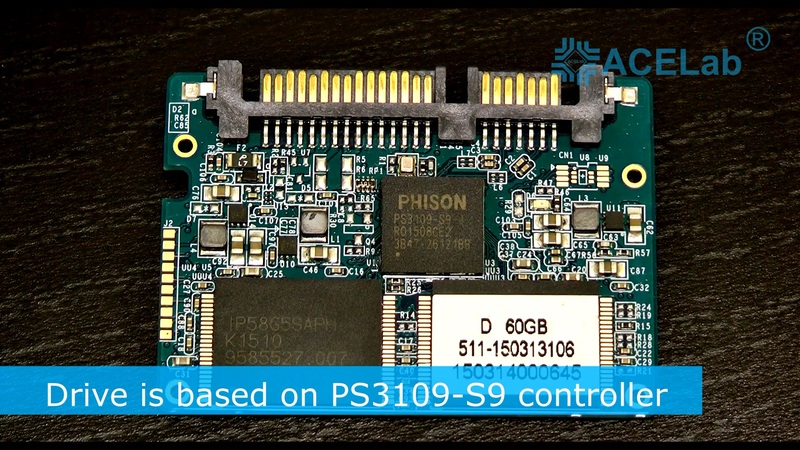 For PS3109, it’s very important to use PATA connection! Please, pay attention to it! 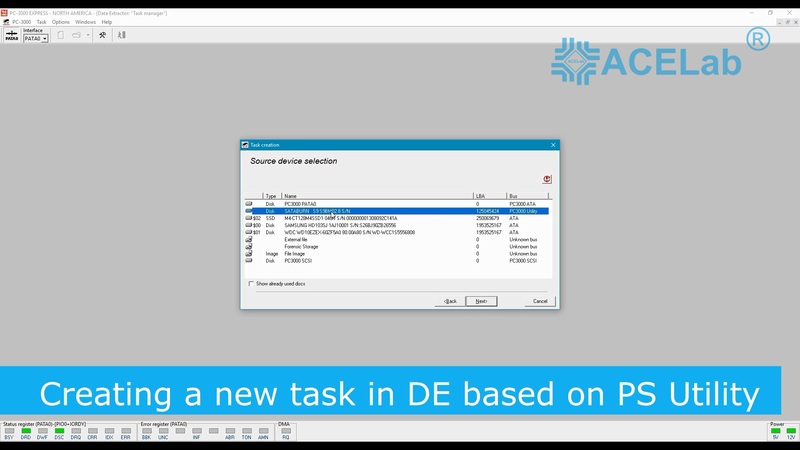 Basically, you can use 40cm IDE cable and PATA-to-SATA adapter from your PC-3000 kit for drive connection. 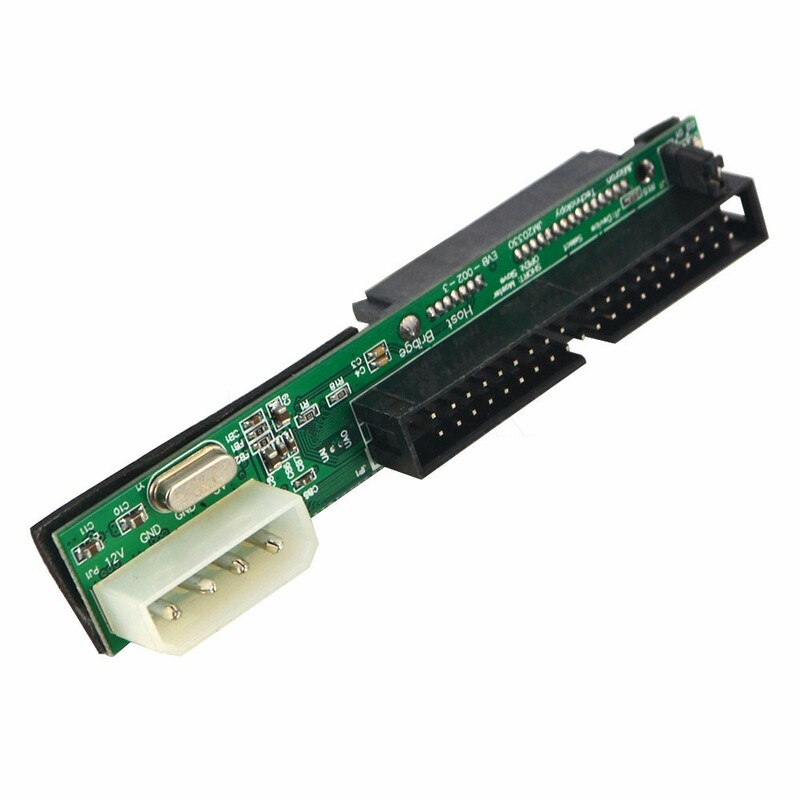 If for some reason, you don’t have ACELab PATA to SATA adapter (which was a part of old PC-3000 UDMA Kit), you can try to purchase similar one on aliexpress.com. After drive connection and starting of Power supply, we can see that drive goes in SAFE-MODE by itself. It’s one of the most popular and typical issue for PS-based drives. But anyway, we strongly recommend you to short drive with tweezers, and forcibly switch it in SAFE-MODE. That’s why we turn-off power supply, short the drive and return back power supply. After Utility starting ignore message about terminal connection. For PS3109 it’s not required. Uploading Loader microprogram in drive RAM. 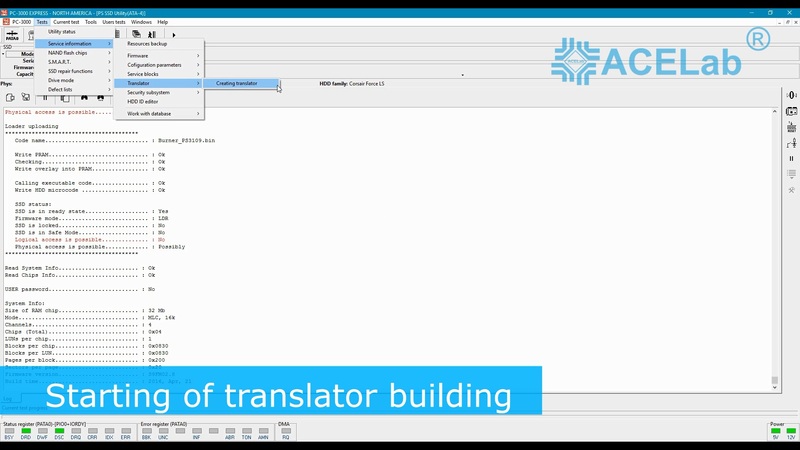 Creating a new task in Data Extractor based on Phison Utility. We recommend to select check-box “Ignore ECC errors” during task creation. Thanks for watching! In case of any trouble, please reach us through ACELab Technical Support Portal. This entry was posted in PC-3000 SSD, Video and tagged Data Recovery, PC-3000, PC-3000 SSD, Phison, Phison Recovery, PS3105, PS3105 Recovery, PS3108, PS3108 Recovery, PS3109, PS3109 Recovery, SSD. Bookmark the permalink.